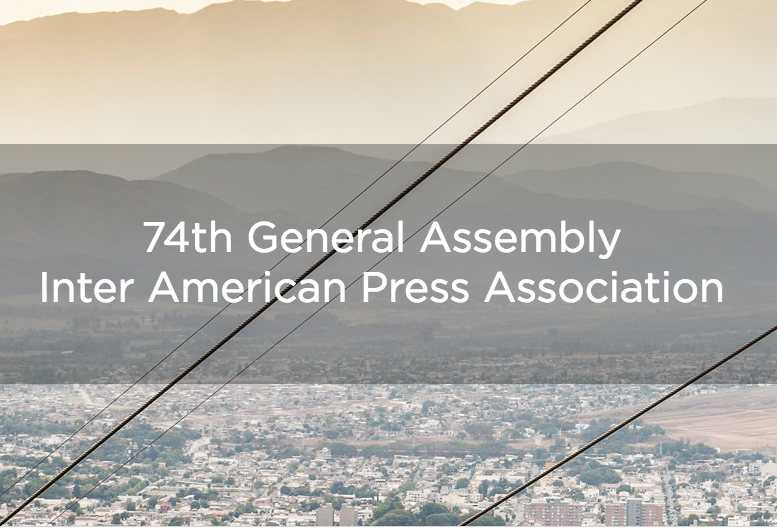 The General Assembly of the Inter-American Press Association (IAPA) and its board of directors approved the Declaration of Salta on the principles of freedom of expression in the digital era on Oct. 22 in Argentina. The declaration aims to guarantee that human rights are respected in the digital space. On its site, the IAPA highlights the need to defend the freedoms of expression and the press as inalienable rights, with equal access to the internet being one of the fundamental principles of the recently signed Declaration of Salta. However, according to the organization, abuses by various actors and the misuse of digital technologies have strengthened censorship, blocking of content, surveillance, harassment, campaigns to discredit and other forms of violence against journalists, media and users in general. All this has created a significant digital divide between countries and in societies, the statement said. The Declaration of Salta, backed by the Declaration of Chapultepec that was signed on March 11, 1994 to defend and protect freedom of the press and of expression in Latin America, contains 13 principles on these freedoms for the digital environment. Among the most representative are that governments should not exercise prior censorship by blocking sites or inhibiting opinions and information with regulations in digital spaces. Nor should they impose sanctions on criticism or information about public officials expressed by users in that space. Any measure must consider the precepts established by the American Convention on Human Rights. It also calls for States in the region to protect those who fulfill the role of informing from violence and aggression, guaranteeing that the digital environment is a free and neutral environment. The assembly noted an increase in cases of censorship, false news, intolerance, threats and harassment of journalists and news media on social media in the following countries: Argentina, Brazil, Colombia, Cuba, Ecuador, El Salvador, Guatemala, Hondura, Mexico, Nicaragua, Panama, United States and Venezuela. Other documents from the General Assembly, including individual country reports and resolutions, are available on the IAPA’s site.